This Unconventional Home-Gym Total-Body Workout with Dr Ryan Fairall, Program Director at Keiser University, is one that will open your eyes to many possibilities in your own fitness training – no matter what level you’re at. 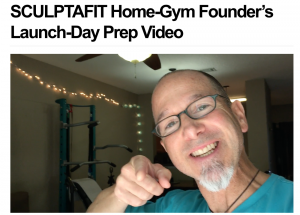 For SCULPTAFIT Home-Gym Founders and Future Owners – this is just a tiny taste of what you’ll be seeing inside the Private Client Video-On-Demand Personal Training Portal when it goes live in November. We’ve developed a great relationship since that first connection, and Kimberly, who you’ll meet in the video, is our first extern/intern to join us from Keiser University’s Sports Medicine program. 2 – Beyond that – it was all intuition and ‘real-time’, on the spot personal training. 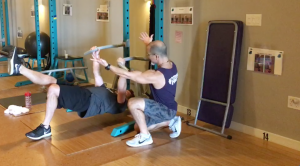 Having spent the last 30 years in this field, I’m able to take this approach and deliver world class training sessions, no matter who I’m working with. 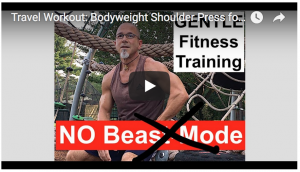 3 – In this “candid” personal training demo session – we focused on core training and then added in some of the larger muscle groups, while keeping the core involved through the entire session. 4 – This was maybe a 30-minute Total-Body workout – and as you’ll see by the end of the video, Ryan was “WORKED”, and surprised that we “did so much, with so little repetitions of each exercise”… WITHOUT high-impact exercises, fast movements, risky intensity levels or anything that is done in the most common types of exercise programs in the mainstream marketplace. 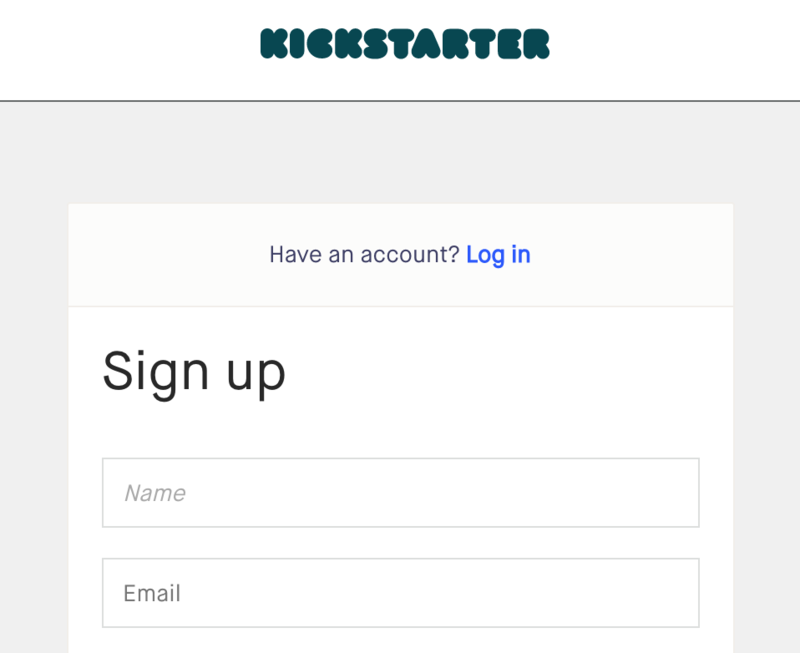 As always, any questions, comments or thoughts – PLEASE post in the box below. 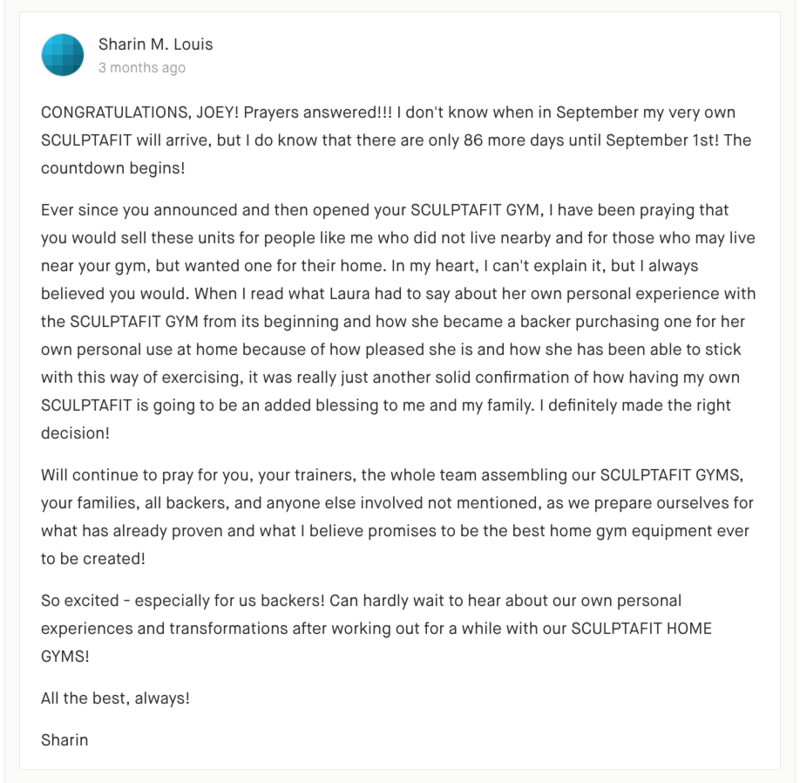 You know we love hearing from you! And please do use these colorful buttons below to share this post wherever you can. 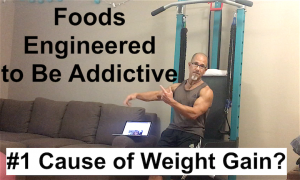 So, my efforts are to raise awareness and help people “wake up” to the fact that they are being tricked into becoming “HOOKED” on the foods and drinks (yes, this also includes MANY beverages as well.) they can’t seem to stop consuming. I hope in some way these articles make you angry enough to create change in your own mindset and help you make positive change for your entire household. I mention former food industry executive, Bruce Bradley, in my video – and he is featured in this short video as well. WELL WORTH listening to, and SHARING (use the share buttons below to share this whole page). 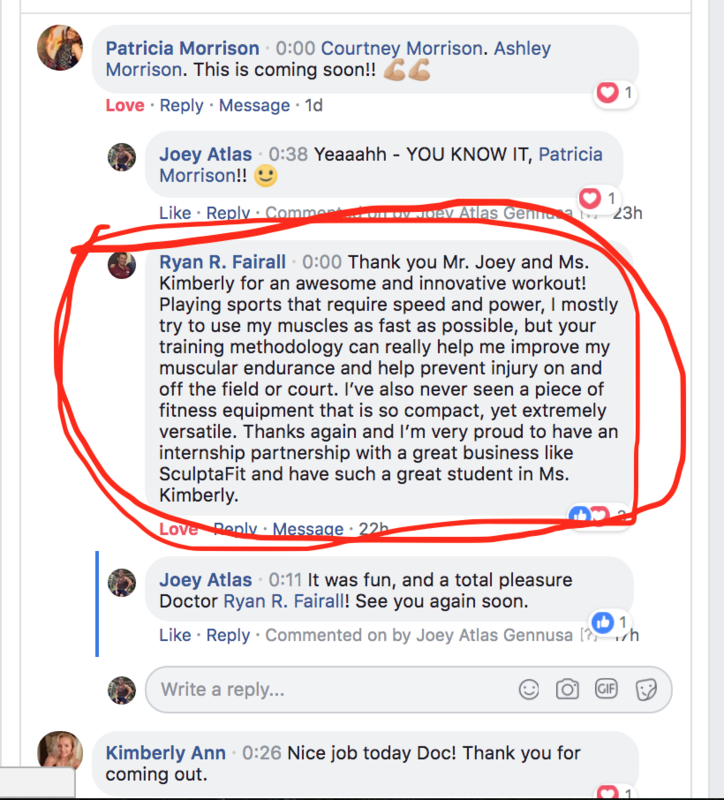 Nikki, my Director of Smooth Operations at the Studio, and I were invited to speak to the students about The SCULPTAFIT Studio and the Home-Gym part of the business. You’ll also hear from Kimberly, who will most likely be one of our first externs in a few months. 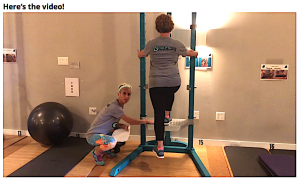 Her “experience” of the Studio/Method is one we LOVED witnessing and hearing about in her reflection of the first training session we invited he in for, a few weeks ago. Any questions, comments or thoughts – just post below, you know I always love hearing from you. 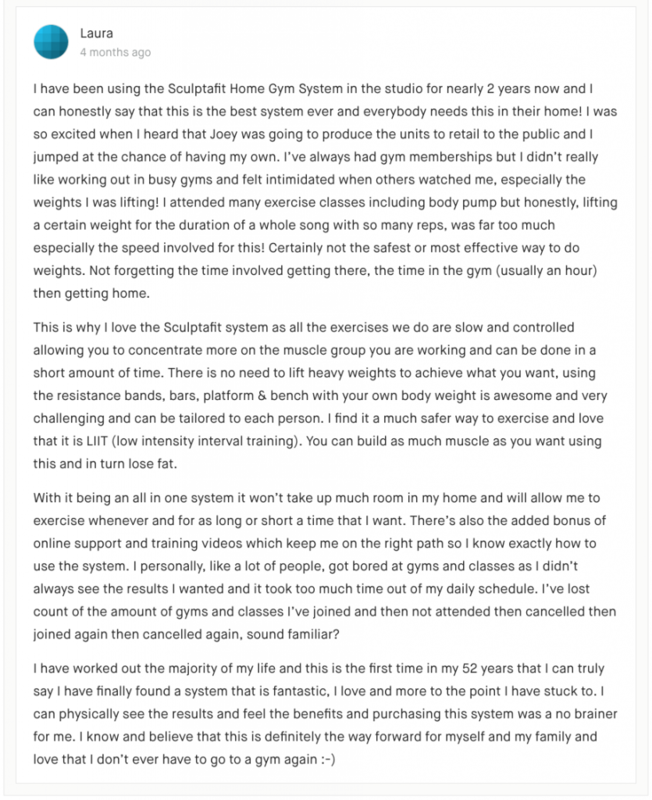 So, these are not actually public – BUT, with the SCULPTAFIT Home Gym launch being live and 91% funded, we all thought it would be a great idea to “pull back the curtain” and share what clients actually do in the small-group Studio circuits. 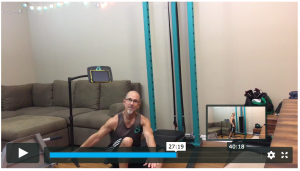 And, for anyone flying in to join us in the Summer 2018 SCULPTAFIT Immersion Experience, this will give you a nice idea of what you’ll be doing with us during the time we spend in the Studio..
And as a special treat, we want to turn back the clock by about 1 year – and show you Configuration Video #13, which was one of tha last ones I did before MasterCoach MaryAnne took that part over. 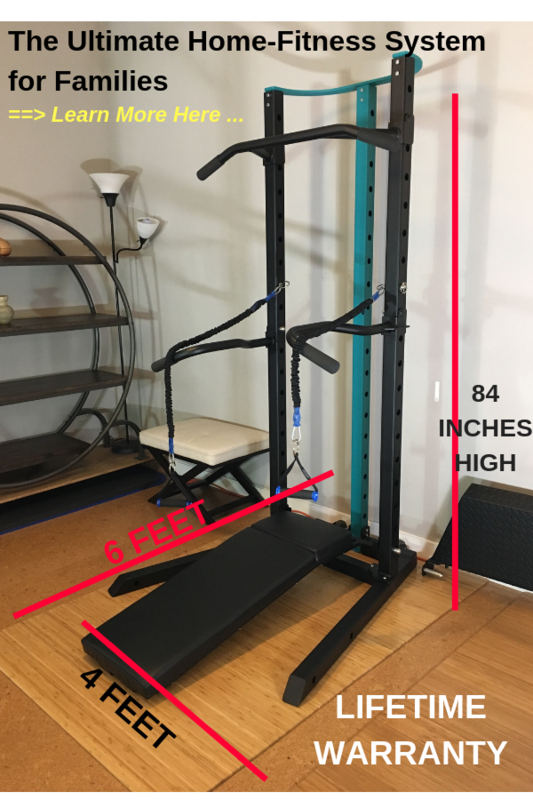 Even if you don’t buy your own SCULPTAFIT All-In-One Home-Gym here , there are still things to be learned from both of the videos on this page. 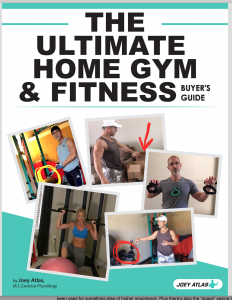 There are exercises you can certainly do without the SCULPTAFIT Unit – and you can also create your own circuit style training sessions modeled after the ones I’m sharing with you today. Any questions? Please post below – you know I love hearing from you. 1 – I recorded a “candid” demo video last night which I’m sharing with you here. We still have some work, editing and adding to do to the page, so please keep that in mind. And if you have any feedback or questions there is a place on the page where you can share your thoughts and questions with me.